FO: Scraptastic Socks | Stitch, Brinn, Stitch! 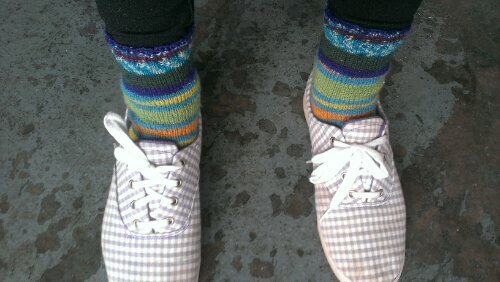 Aww yeah, check that crazy sock action. I completely love them, even though they came out a little shorter than I thought they would. 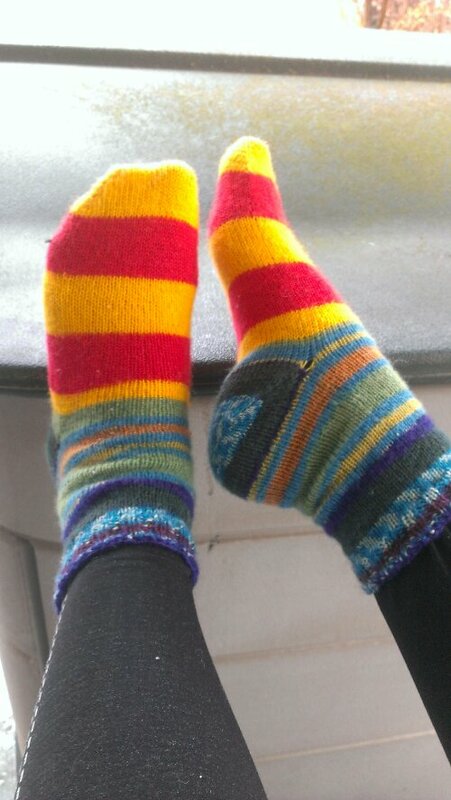 It’s great to have another pair for the sock drawer. 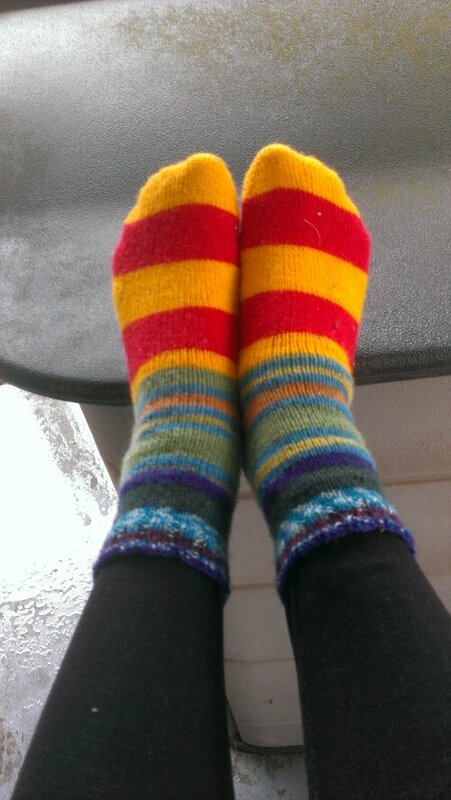 I knit them toe up with a wedge toe and afterthought heel. I like a flap and gusset heel best but the afterthought heel is rapidly gaining my favor. I have a bunch of things on the needles and the loom as well. And I have a super brag thrift store find post coming soon. Crafting is definitely happening here, as well as reading. I’m on a manga kick lately thanks to Katsucon. I’m currently reading Ouran High School Host Club after being absolutely enchanted by the anime. And I’m still reading the Thrawn trilogy with Joe. We’re on the last book and surprising no one at all I’m sure, I completely adore Mara. Look for SW crafts here probably soon.